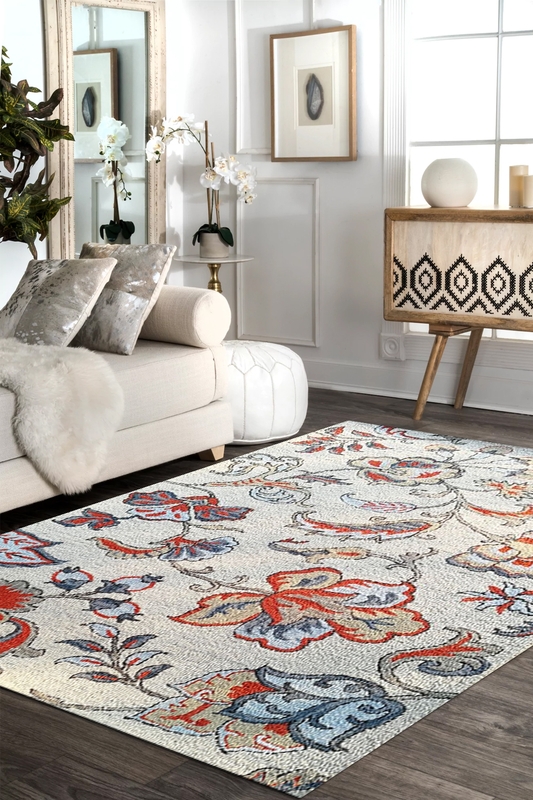 A handmade rug is the most important home decor accessory. So find this carpet at the reasonable price range and decorate your home like a palace. It is a highly durable carpet. Aroma your space with this beautiful vibrant color hand-tufted carpet which is woven in pure New Zealand wool and cotton material. The surface of ground is looks like a net of flowers and branches. It will give a fantastic look once it will be placed.